Sandwich, MA (July 14, 2018) – A Thursday afternoon rollover crash in Sandwich left one person injured. The crash took place just before noon, near exits 3 and 4. Sandwich police, along with the Sandwich Fire Department and EMS responded quickly to the crash site, according to emergency broadcast reports. There were two cars involved in this crash. There is no word as of Saturday morning on what might have caused the vehicles to collide with one another. One person was transported by ambulance to Cape Cod Hospital for treatment of their injuries. There is no word on the condition of the injured victims or the extent of injuries sustained. Police are still investigating and there are no additional details available at this time. 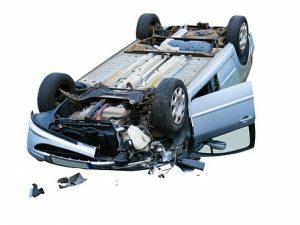 A rollover crash is a very common type of injury crash that we encounter in our daily practice. Many times, when vehicles collide, the force is so great that it causes one of the vehicles to flip or roll over onto its side. At that point, the only thing protecting the driver from the roadway is the metal frame of the vehicle. This often results in serious injuries to the driver involved in the rollover collision. If you have been involved in one of these crashes and have suffered injuries, there are a few rules that you need should follow.